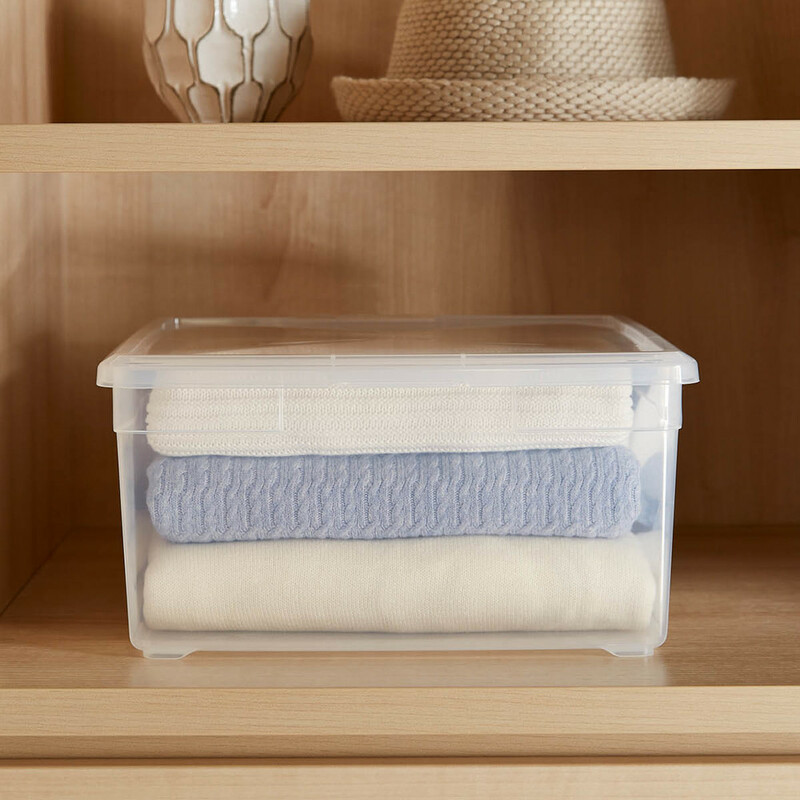 At The Container Store, we're quite fond of Our Clear Storage Boxes. And it all started with Our Clear Shoe Box many years ago. It's high-quality, proprietary design is virtually unbreakable and stacks perfectly on top of itself for a clean look that's also very budget-friendly. 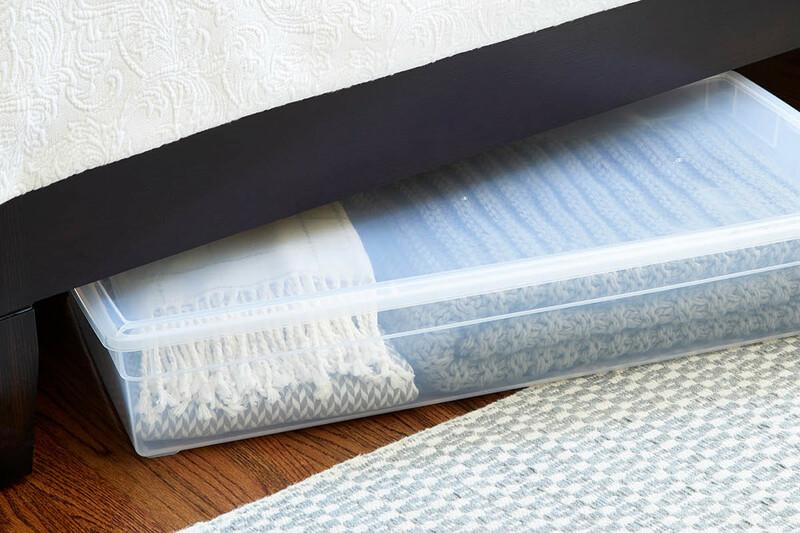 Our customers loved that design so much in fact, that we've continued to expand on the Our Clear Storage Box Collection for years, to help accommodate a variety of storage needs from linens to sunglasses to high heels. We now have 10 solutions in the collection that all work harmoniously with one another as a system or individually around the home. Check out how you can use each piece in your life, below! 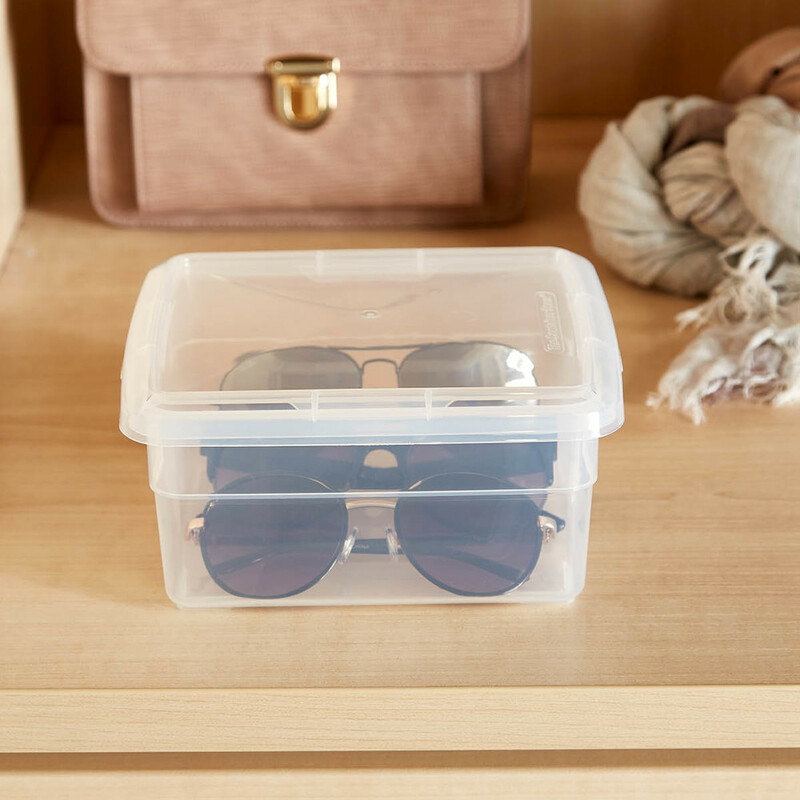 Our Accessory Box is perfectly sized to hold a wide variety of your accessories, including sunglasses of all sizes. If you don't want to invest in a decor case to display all your glasses, small scarves and more, this is the perfect solution. Our Sweater Box is designed to be just wide enough to fit those fluffy, out of season sweaters in style. The four notches on the bottom of the boxes mean that they can stack seamlessly so you can use these boxes as transitional storage from season to season without fear of shifting or falling. Our Long Under Bed Box is both wide and short, allowing you to make the most of all the free space underneath your bed. 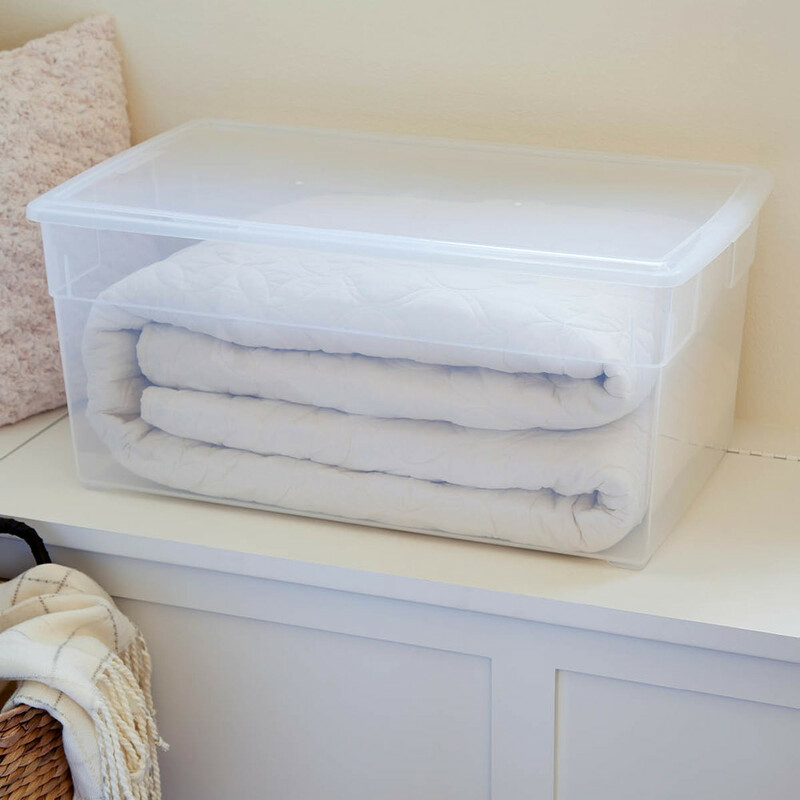 You can use this solution to store linens, chunky blankets and other bedding you change seasonally. 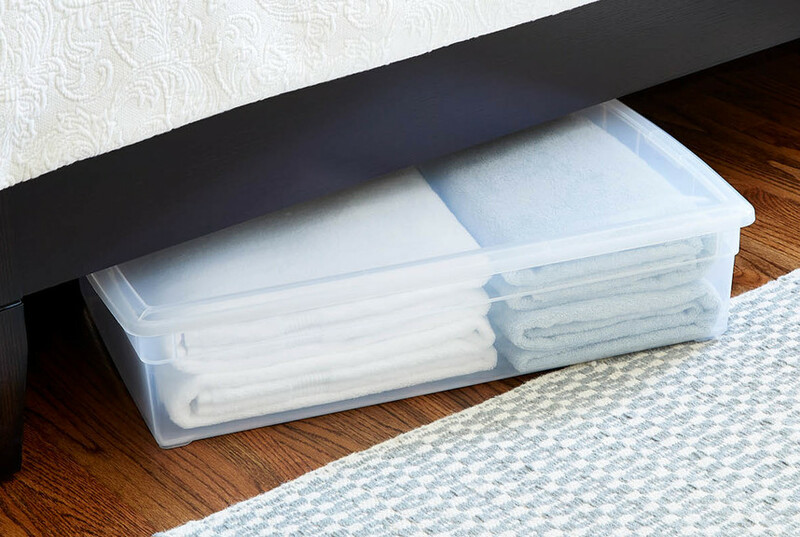 Our Jumbo Box offers the depth of a sweater box but offers a narrow profile that works to hold light comforters and non-bulky linens. It's also a great design to store small blankets and decorative pillows. Our Deep Sweater Boxes store just that, ALL of your sweaters! Sweaters take up tons of valuable space in a closet, especially if you live in a climate that's only cold a few months out of the year. 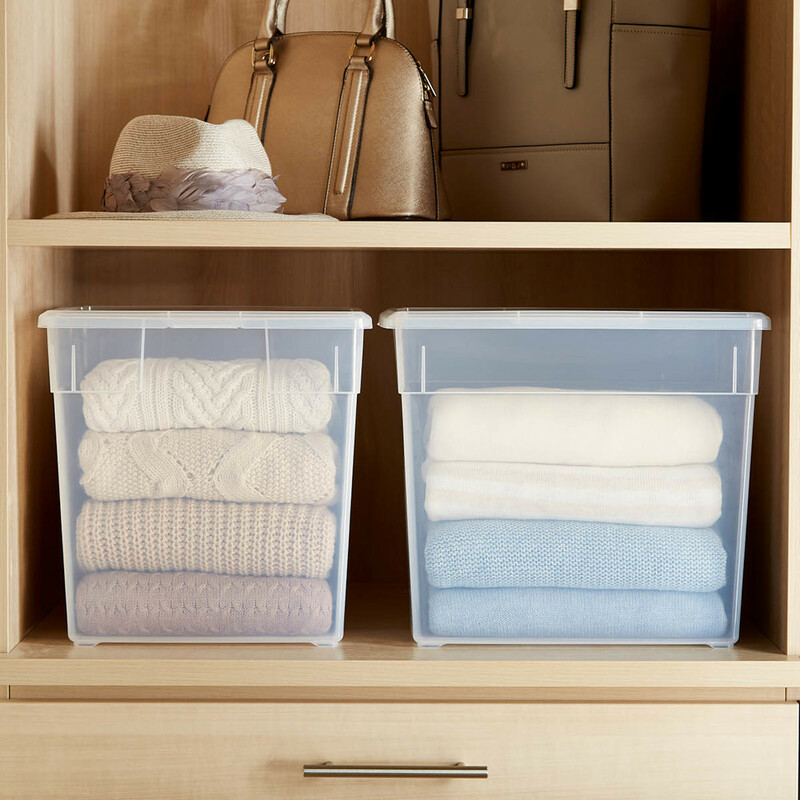 Use the varying sizes of Our Deep Sweater Boxes to store even more of your sweaters, from the fluffiest to the thinnest. 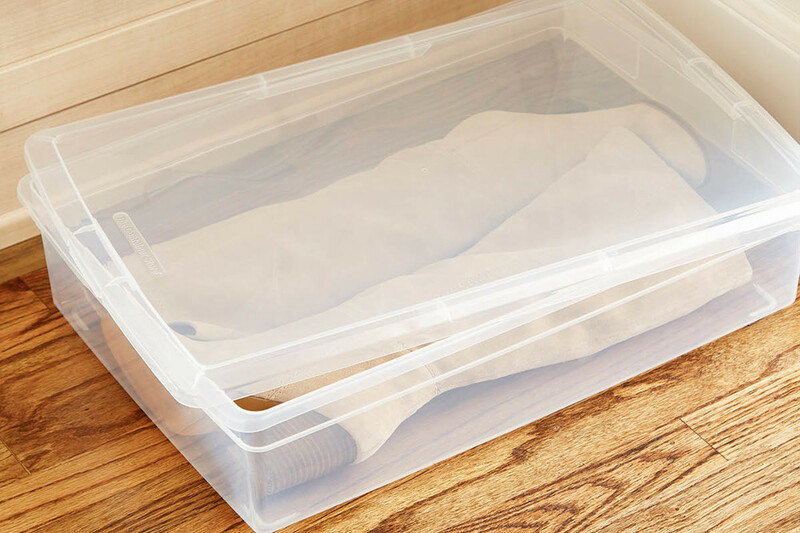 We designed Our Boot Box to save you valuable space in your closet or under your bed, while still protecting your boots from dust and damage. The design is longer than it is wide, and each box stacks perfectly on one another. For those sky-high heels and bulky boots, Our Tall Shoe Box is the go-to. At almost 9" high, this box can fit even those platforms that you just can't give away yet. 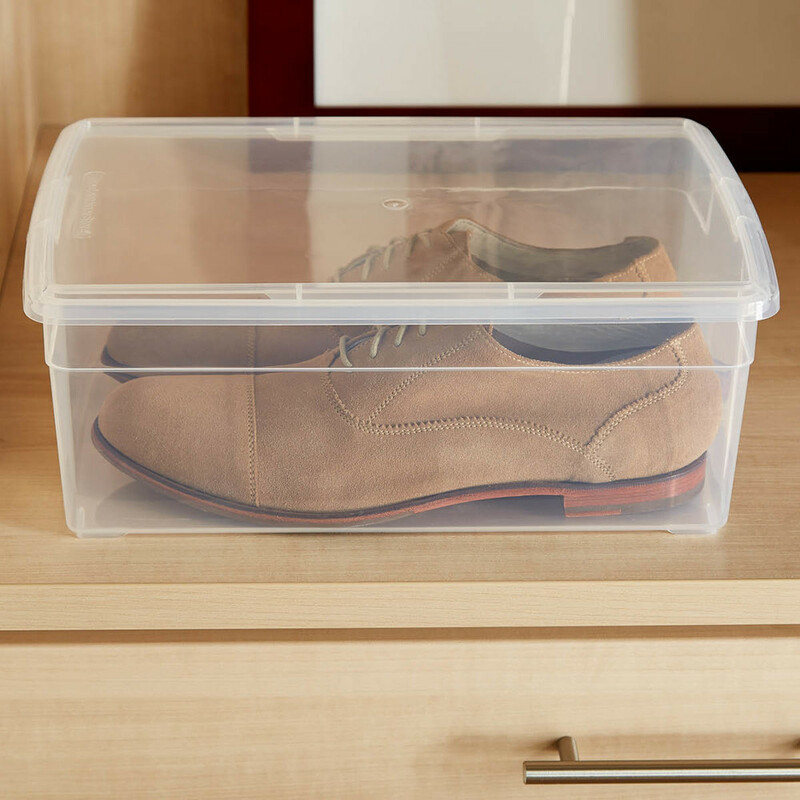 Our Shoe Box was the first product we offered in this clear storage box collection. Perfectly sized to fit your flats, slides and low-heeled shoes, they're just narrow enough to help you stack and save space in the closet. Our Men's Shoe Box is both longer and wider than Our Shoe Box to help accommodate men's shoes outside of boots. Each box fits loafers, slides, oxfords and more with ease. How do you use your boxes at home? Let us know in the comments!